Bring the horses and enjoy peaceful living out in the country. 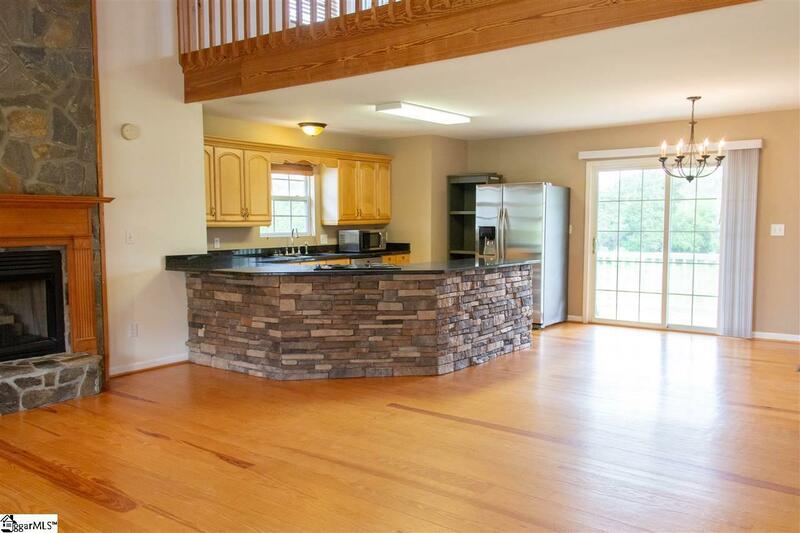 This homes sits on 5 acres, has a 3 stall barn, and fenced pastures. The beautiful farmhouse has a wrap around porch ideal for taking in the scenery. Once inside, you'll be welcomed into the living room with a cathedral ceiling and stone fireplace with gas logs. 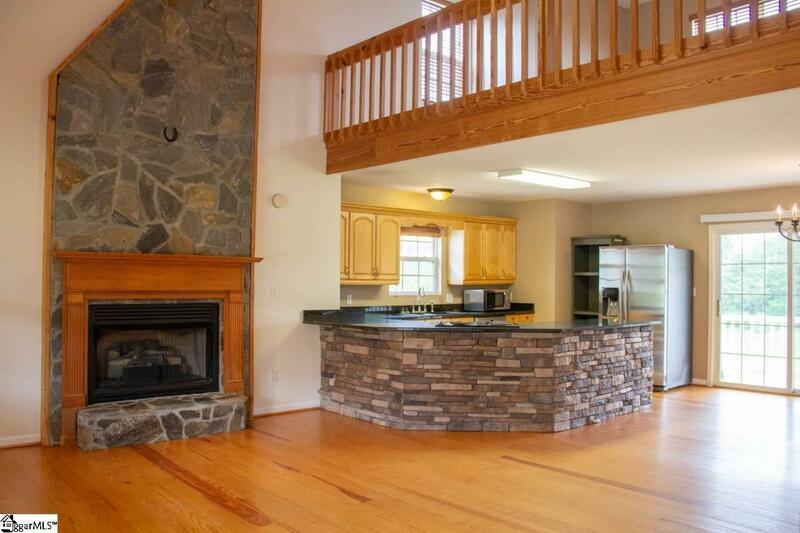 The kitchen boasts granite countertops, many updated appliances, and an open floor plan, perfect for entertaining. Also on the main level, you'll find two bedrooms and a full bath. 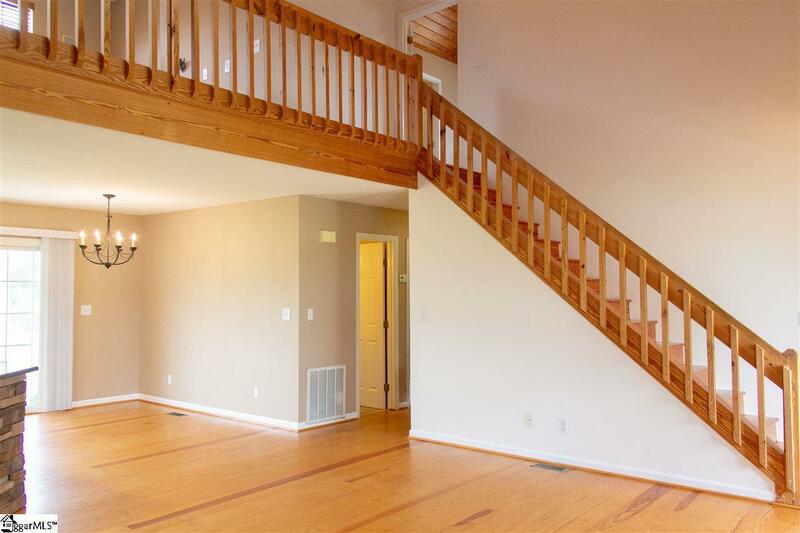 Upstairs, you'll enjoy a loft and your private master retreat featuring a spa-like bath. Downstairs you'll find a walk-out basement rec room, an extra room, and full bath. There is also a workshop/storage room with a separate entrance. 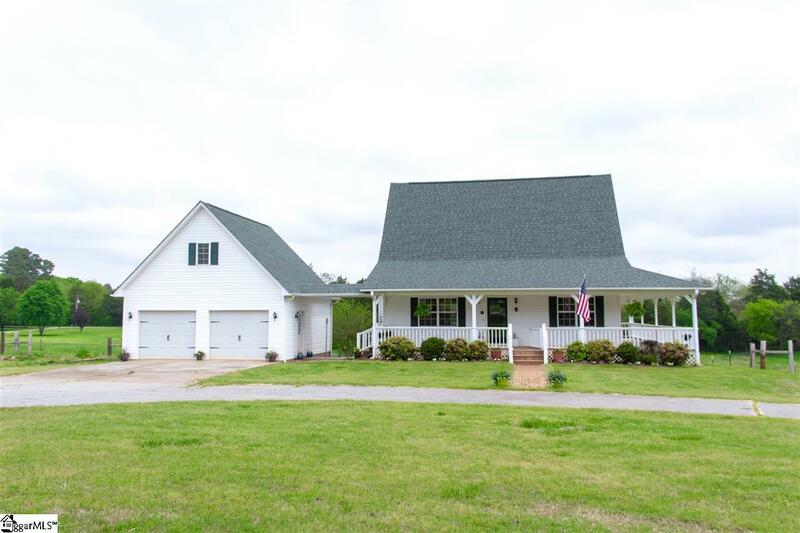 With fresh paint and new carpets throughout, this home is a must see for anyone looking for a country home with convenient access to town and I-85. Listing provided courtesy of Kristi Smith of Keller Williams Greenville Cen.